Vodohospodárska výstavba was announced as one of the winners at Spatineo Quality Awards! 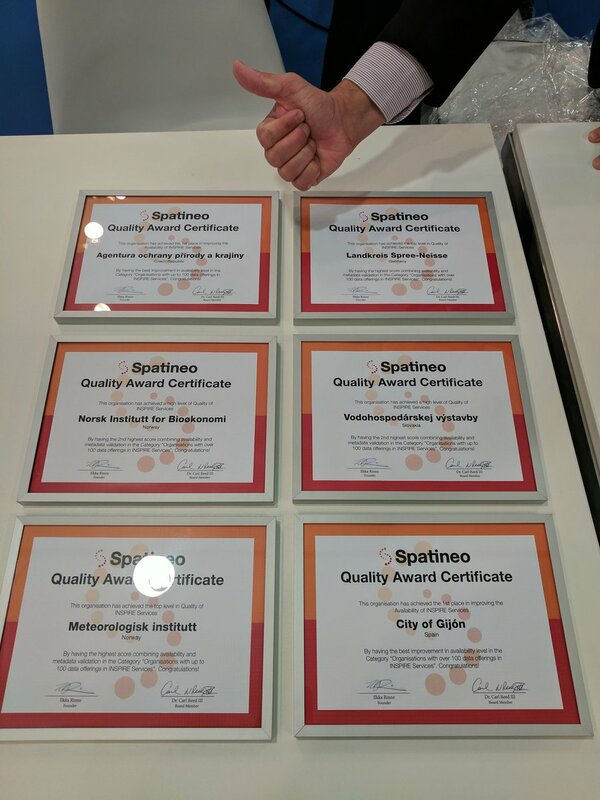 Winners of Spatineo Quality Awards! 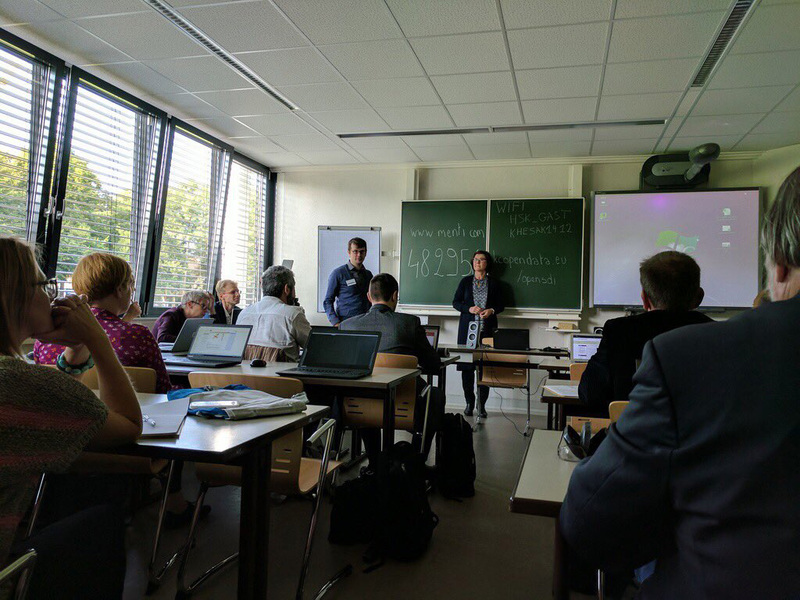 Jaana Mäkelä participating "Workshop: GeoICT SMEs as key-players in the INSPIRE driven innovation: the role of the smeSpire network"
Picking the winner for the Polar Loop Acitivity Bracelet draw! 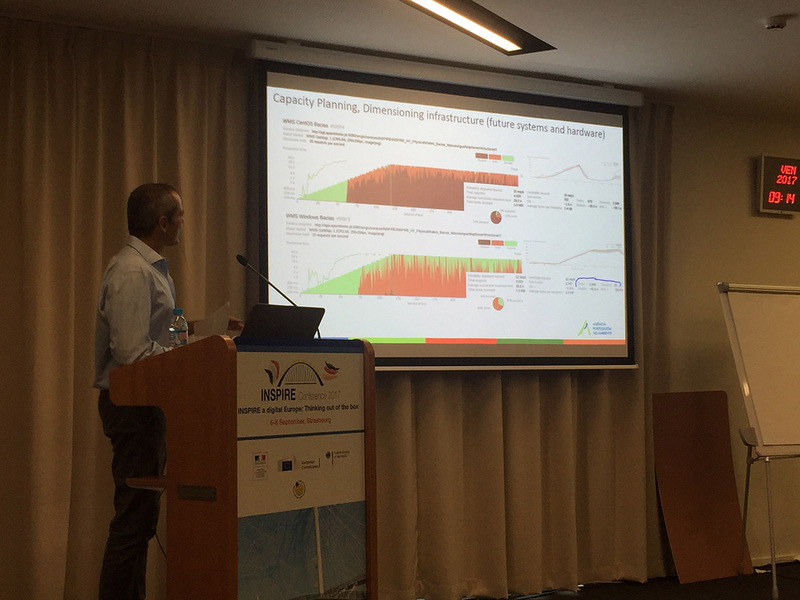 Joaquim Pinto da Costa from APA displaued how Spatineo Performance is used in capacity testing. 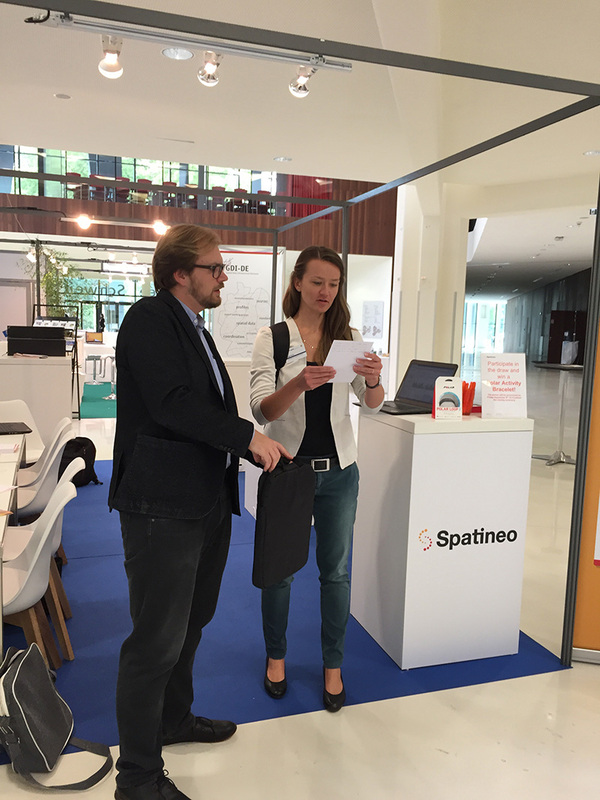 Sampo Savolainen, Managing Director of Spatineo, speaking about maintenance of SDI catalogues. 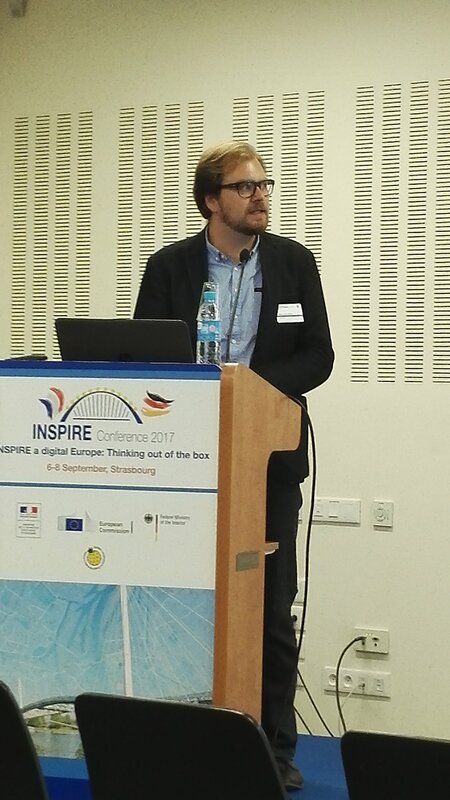 We attended once again to THE conference of the year, INSPIRE Conference. But what was so special about it this year? INSPIRE felt like it had one extra layer of warmth and hype around it this year. 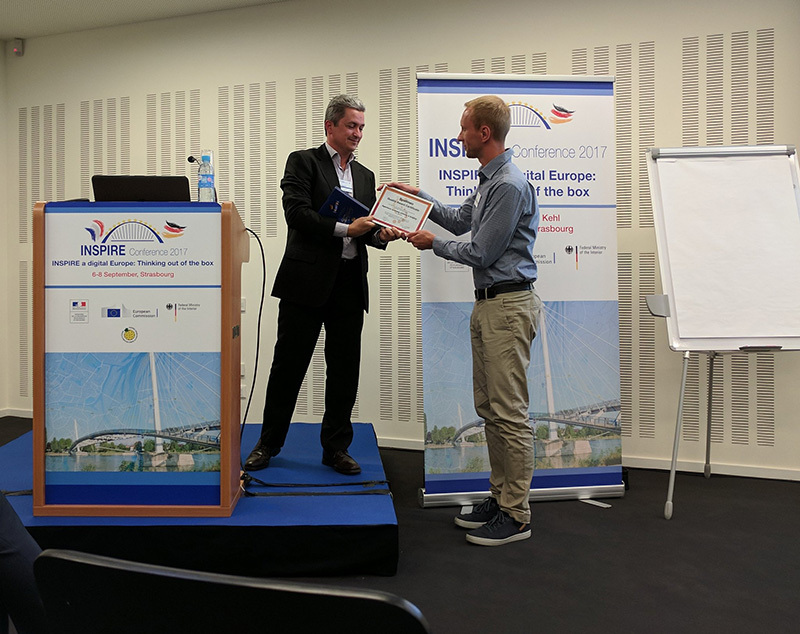 Successful conferences are hard to manage but INSPIRE was able to go beyond all expectations this year. We had a prime spot this year, as we had teamed up with few partners and new associates. This gave us front row seats to see what was going on. 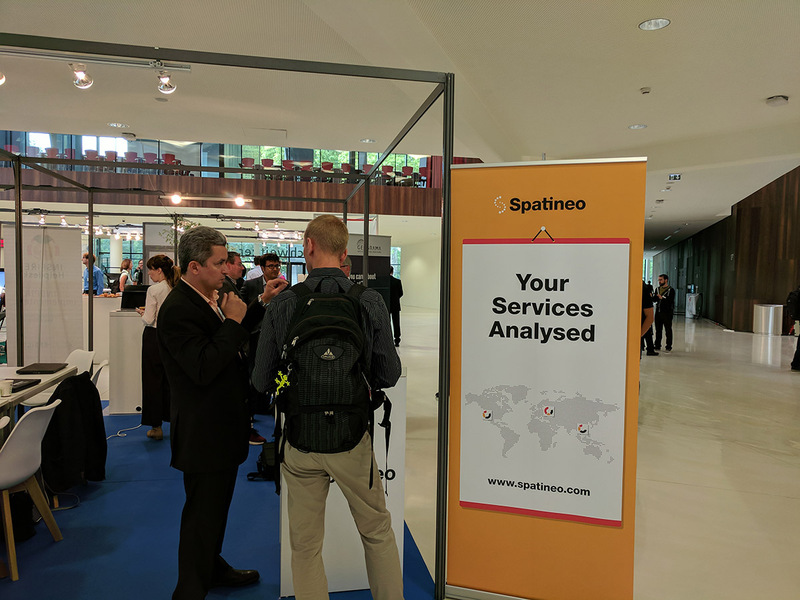 Jaana Mäkelä, Sampo Savolainen and Fabio Bittencourt held presentations and attended workshops, and gained insight from this year’s conference. We already wondered about this year’s topic prior to the conference, it can be read here. “This year discussions emphasized the impact of SDIs. Are European SDIs open enough so that all potential users can benefit from them? Do SMEs understand the business possibilities that INSPIRE and SDIs provide? What kind of e-Government applications utilize SDIs and INSPIRE services? This year we wanted to give something back to the community that has given us so much. Awarding those who have succeeded was the best way to recognize all the effort organizations have implemented into their SDIs. That is why we hosted “Spatineo Quality Awards” this year. lkka, Fabio and Sampo had gathered some of the most successful organizations and sorted out 3 categories in which prizes were given. We would like to thank everyone in the INSPIRE Conference organizations for making this all possible, it would have not been possible without you! 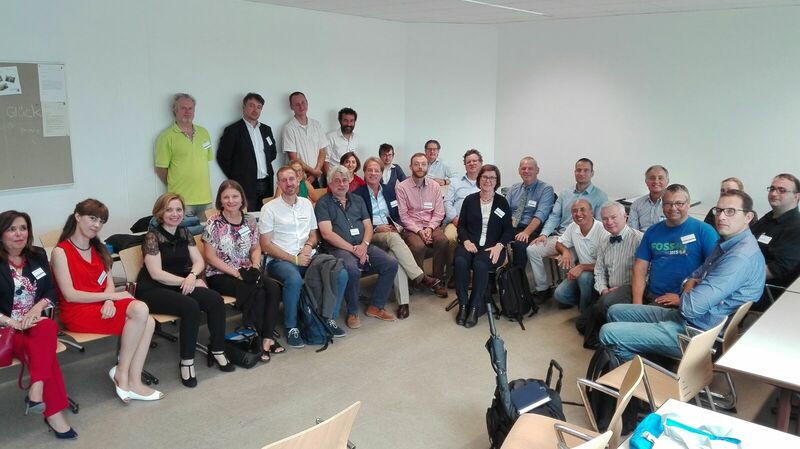 Also everyone who attended the conference had a key-role in making this event so successful. Our most humble salute to you all! Creating this kind of event each year really rallies the community together, enabling us to drive towards success together! 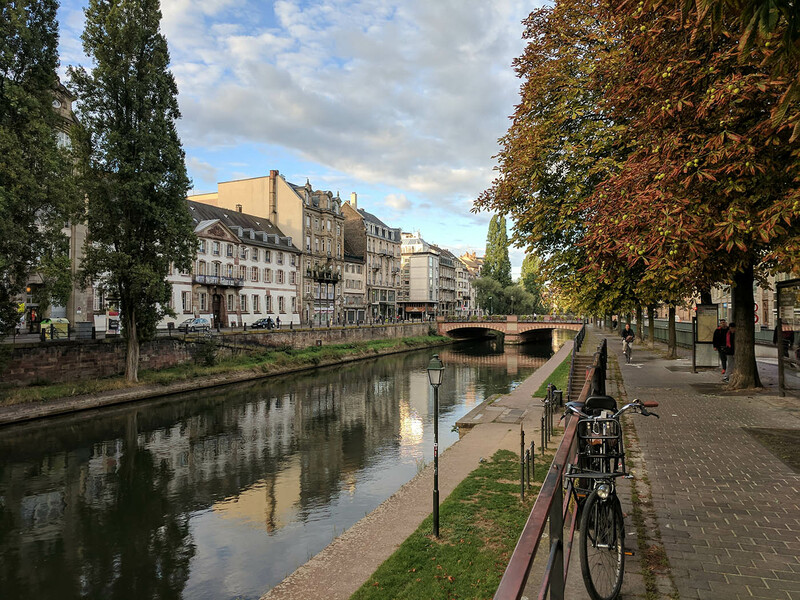 We hope to see you next year in Antwerp!